Just what do you get for the steep asking price? The case feels a bit cheap, but once installed, the drives are secure and protected. The twin-bay setup allows two 750GB hard drives to be installed for 1.5TB in RAID 0 or 750GB of entirely secure RAID 1 data storage. The Linux installation can operate an FTP, iTunes and uPnP server, and provides print server support via a single USB socket - but this can't be used to connect a mass storage device. Software is optional, as the drive assigns itself a default IP address. Connecting to the router reveals an attractive web interface, providing control of the drive's settings. 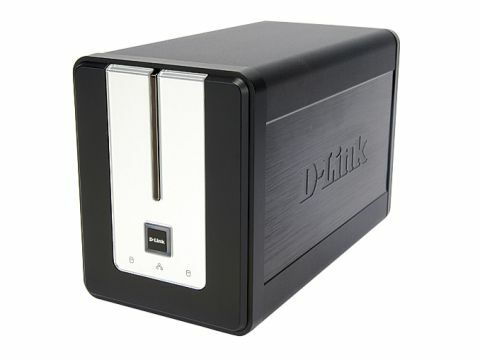 The D-Link is impressive, but the price is steep for an empty enclosure.